We are developing cultivars of corn, forage grasses and legumes for Hokkaido region. Recent cultivars that we have released are as follows: as for corn, high yielding cultivars "Daichi" and "Kiyora" that exhibit high level resistance to northern leaf blight (collaborative development with Hokkaido Research Organization) for the central and southern regions of Hokkaido, "Tachi pirika" (collaborative development with Hokkaido Research Organization) for the Konsen and Northern Regions; as for orchardgrass, a medium maturity(flowering) cultivar "Esajiman" (joint development with a private sector) with higher levels of sugar content and TDN yield compared to conventional cultivars, and "Harunemidori" with good wintering ability and excellent yield in spring and autumn; as for meadow fescue, "Makibasakae" for intensive grazing in soil freezing areas; as for alfalfa, high-yielding "Ushimosuki" (joint development with a private sector and Hokkaido Research Organization); as for red clover, "Anjo" (joint development with a private sector) which is superior in mixing aptitude with Timothy . We develop F1 cultivars not only for whole crop use but also for concentrate feeds such as ear corn, furthermore, we improve rapid early maturing lines and F1 cultivars that will allow stable production in the limit zone of corn growing in Hokkaido. We develop orchardgrass cultivars harboring high WSC (soluble carbohydrate) content for high nutritional feed production, and festulolium cultivars for both grazing and cutting uses in soil freezing areas. 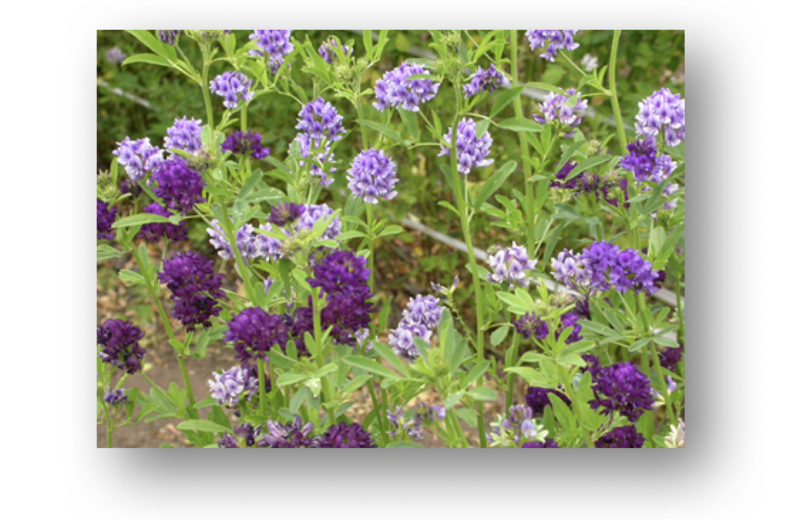 We develop cultivars of alfalfa with machine tramping tolerance, of galega with good aptitude for mixed sward, and of red clover lines harboring higher levels of compatibility with grasses and overseeding.